Now that you know the tricks of the trade, you can combine the tools and features you’ve learned to take your reporting to the next level. Have you got what it takes to be ClearPoint Cool? In this episode of the “I Didn’t Know ClearPoint Could Do That!? 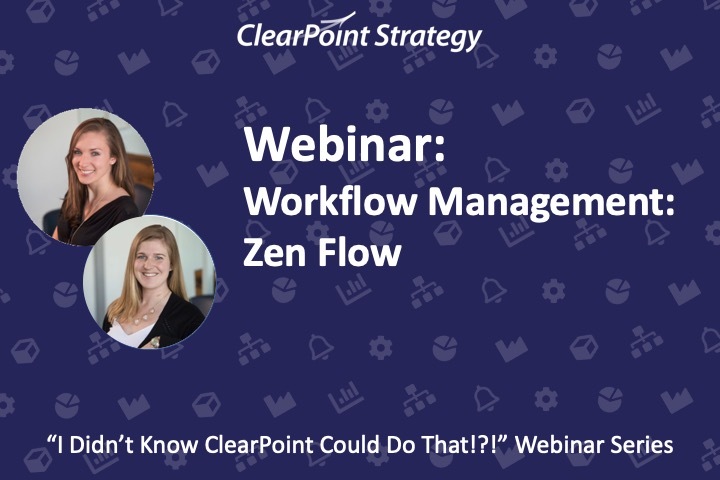 !” Webinar Series, we explore two ClearPoint Cool reports. Learn how to leverage charts, calculations, HTML with Data fields, images, and more to create a gauge dashboard that will help you summarize performance results. Then, report on your business plan progress using chart reference fields, custom pod styles, and more. Today, we’re discussing how to be ClearPoint Cool. Submit questions to [email protected], we’ll answer as many as we can at the end. Any that we don’t get to, we’ll follow up over email. On our last installment, we covered Automatic Initiative Evaluations, a brand-new capability as of ClearPoint 11.5, so if you’re looking to take your projects to the next level, I’d highly recommend checking out that recording on our blog, support center, or Vimeo channel, just search “webinar”. I may have done some googling to find out, and the image search results are telling me it definitely involves sunglasses. Maybe add a hat, or a leather jacket, or a hoodie. Everything else is sort of up for debate. Neil: Please don’t take Catherine’s fashion advice to work. She’s had sunglasses on at her desk all day. I can assure you it’s not that cool. Catherine: Um, ouch. Guess I’ll take these off now. It was getting kind of hard to see… Anyway, as far as ClearPoint is concerned, we think it’s pretty cool when our team – or our users! – find new and useful ways to combine the various features ClearPoint has to offer. Neil: That we can all agree with. Neil: For example, maybe you’ve thoroughly documented your reporting process and made it easy for your team to make updates. Or you’ve found an innovative way to set up pages in ClearPoint that suits the specific needs of your organization. And how to condense information about your business plan in a useful and appealing way with a Business Plan Summary page. With that, let’s get to it. We’re strolling the friendly streets of Metropolis today. Catherine: And, the first thing we want to set up is our gauge dashboard. Let me show you a quick preview of what that’s going to look like, so you’ll have it in mind as we go through each step. Now, here in Metropolis, we’ve got a few different departments that are all working hard to ensure we’re the best place on earth to live. And this dashboard gives us a way to track these departments’ overall progress side by side. The red/yellow/green gauge summarizes the performance of the departments by standardizing and averaging our data into one measure. Neil: We’re going to show you how to get to this point so that you can build out a similar gauge dashboard – whether it compares departments, metrics grouped by goals, or another way you want to slice your data. Catherine: Right, so, let’s click into one of our departments – Parks, Recreation and Sustainability. And we’ll click on our Dashboard report. So here we can see we’ve got numbers on a LOT of different scales. This seems like trying to compare apples and oranges. Neil: Right, how are we going to summarize 1,000 visitors to the rec center with percentage satisfaction? Neil: We’re going to need a common way to communicate how each of these metrics is tracking. Catherine: yup – we’re going to do that by adding a percent of target series to each one. That way, no matter the data type or the size of the target, we’ve still got a percent comparison between our real value and desired value. So let’s click on “Percent of residents satisfied with available recreational options”. We’ll double click on the data table and click to Add Series. We’ll name this % of Target and set this as a percentage series. Then let’s hop over to the Calculation tab. We’ll use our dropdowns and buttons here to divide the actual by the target value, and multiply by 100. Great, now let’s save. We’ll see the series greyed out here in our data table, indicating it’ll keep calculating our values even if we change the actual or the target. Now, to save us some time, we’ve already got the percent of target series set up in a few other measures: our Landfill diversion rate, and percent of municipal facilities incorporating energy efficient upgrades, as well as the total number of visitors to community center. We’re going to use these series to create an average percent of target for our overall department. So, we’ve added a measure called Parks, Recreation & Sustainability, after our department name, where we can summarize the measures. We’ve linked the four measures that we want to summarize as child measures, since this is sort of the overarching view of how they contribute. Then in that data table, we’ve got Actual and Target. Our Target is always going to be 100% – remember, this is not stemming from an individual measure, but it’s our progress overall. Then let’s change the Actual series to Percent of Target and average the percent of target series in those four measures we mentioned. So we’ll insert each of those measures into our calculation in parentheses, using the plus sign as we go, then divide by the number of measures we’re including (4). Neil: we’re just using four measures right now as an example, but you could easily use more – from just your key indicators to all the measures in your department. Catherine: Awesome, so now that we’ve got this calculation all set up, we’re going to showcase it on a gauge chart. And the first thing we want to do is change the chart type to Gauge. Then, on the Periods tab, we’ll want to just show the current period, so that the gauge will just display our current value. On the Y-axis tab, let’s go ahead and set our min and max to 0 and 100. Then lastly the chart series tab – we just want to show our percent of target, because this target is always going to be 100, so it doesn’t add much to the value of the chart. Now, let’s save and see how it looks. Alright – you might notice here that the colors you saw in our original example were missing. Neil: So we want to make sure that we’ve set the criteria for which percent of target values are going to be green, yellow, and red. We’ll check the boxes next to each evaluation – and let’s call our progress green if we’re within 75% of that 100% target. And then anything under that is going to be red. When we save, we’ll see our evaluation colors show up on the chart – so it’s really easy to see which values fall where. So we’ve actually gone ahead and created a few of these gauges in our other departments as well, and we’re going to go back to our top level organizational scorecard to create our gauge dashboard view, where you can compare progress across departments. I’m going to walk through two ways to set this view up – a simpler one that won’t take much time, and then a more advanced option using Bootstrap. And the first way that we’re going to demonstrate is by creating a dashboard. We’ll go to Manage Measure Reports > add > and we’re going to select the dashboard format. Then, we want to choose our charts from across the organization. So select each departmental scorecard, and then in each, we’re only going to select the measure with the gauge, which has the same name as the department. And when we save, we’ve got a nice grid of all our dashboards. Now we can easily set this up with any additional information we want to add at the scorecard level – we’re just going to set up two custom fields. So we’ll go into System Settings > Admin Options > Custom fields. And these are going to be at the scorecard level. This is going to have a Data Grid field type – which means we can use this field to reference another summary report. This is going to be an HTML Text field, so that we can add any background info we’d like about our dashboards. Now let’s save, and under Scorecards, we’re going to Manage Scorecard Reports. And on the Page Layout tab, we’ll add our two new fields. Let’s double click into the first one, and we can add a bit of analysis or a custom header. Then in our data grid field, we can also double click, and we’ll see a series of dropdowns here. We’ll select from our measure reports, and choose the dashboard report we created a minute ago. And if we expand these fields, we’ll see the option to remove pod border and header. And then further into the contributing measures, which is a pretty nice hierarchy. Now, if you want to really take things up a notch, we could leverage a responsive bootstrap grid, rather than this dashboard view. If you’re comfortable tweaking html to build and maintain a custom view in ClearPoint, this is the option for you. And we’ll keep the nice custom header we’ve set up here, but remove our sample dashboard view. And we’ve got one more custom field here that is an HTML with Data field – meaning you can edit text, but also reference information from elsewhere in ClearPoint. Now you might be curious – where does bootstrap come into play? Does this mean you have to wear boots to be ClearPoint cool? Bootstrap is a grid system that makes it easy to create a mobile responsive structure in HTML. It’s a 12-column grid that you can group into different widths, as well as a few preset CSS classes to apply background colors and other styling. I’ve set up this basic structure here in a Notepad doc, which will be available with the recording of the webinar in our support center. I’m going to take that, and copy it. Then in ClearPoint, we’ll click over to the HTML side of the editor, and paste. You’ll notice there are a lot of divs – this is a way of structuring and organizing page content. We’ve got three nested layers, for rows, columns, and content. At the beginning of each row, you can see the “row” class – this will apply preset row styling as assigned by bootstrap. the class applied starts with col- (for column), sm- (which has to do with mobile responsiveness), and -3, for 3 out of 12 columns. You can see there’s four columns in the row. Within each column, we’ve got a div with a class of “widget white-bg” – this creates a box with a white background and rounded corners. Within that, we’ve got our content. And in the file that accompanies the webinar recording, these are just going to be placeholders for charts and links. Cool. So let’s go back to the front end here. These tokens each refer to a chart and a link to the measure. We can see there’s one placeholder still where we’re going to want to select a chart and link to display. We’re going to click into this Tokens section to do so. And then choose the link field by typing in ‘link’. Once we’ve got those criteria, we’ll highlight the placeholder, and click Insert to replace it with our token. Then, same thing for charts – we’ll flip from a measure field to a chart, then choose the chart name we want to use, and select 200px tall for the height. Alright, now let’s save, and just do one last step here – similar to our header, we’re going to edit the page layout again > click into the pod > and remove border and header. Let’s see the finished product! And if adjusting HTML is not something you’re comfortable with, you’ve always got the referenced dashboard view to fall back on! You may be in the process of creating some sort of awesome landing page for the express purpose of publishing your information, whether it’s to your intranet, or outward facing to the public. Neil: publishing makes you extra cool. Catherine: So if you are planning to create an HTML export, you’ll just want to make sure to decide how much you want to include – whether it’s just the landing page, the summary measures, or your contributing measures as well. We’ve generated our gauge dashboard template. Clicking over to our exports, we’ve actually got a sample report set up here, where I can drill down to the department level. We could send this out as pre-reading for meetings, embed in our website, and more. Awesome! So now you’ve got a succinct option for reporting out on the overall performance of various departments. And if you want more ideas for what you might be able to display in this format, don’t hesitate to ask. For now, we’re going to switch gears and Neil is going to walk us through creating a business plan summary page. Even a small business can be organized into separate departments, each one being assigned its own goals and having its own expense budget. Each manager tends to write a department business plan, usually with guidance from the department leads and the finance staff. The managers of each department are held accountable for meeting these goals and staying within budgeted. First, we need to decide what information we would want to show on a single detail page in ClearPoint. As you all know, department Business Plans should serve to tell a story. So, if we look at this export that shows what we are going to build, and if we think of this plan as something someone would read from top to bottom, we can gain a sense of how the plan should flow logically. A reader should first be able to look at the plan and understand what the department does. Next, they should immediately see how it is currently performing on key measures. There should also be some qualitative analysis here to support the charts. Finally, there should be a section on initiatives, or projects, that the department is currently working on AND planning to be working on in the foreseeable future. With that being said, let’s jump into an example of how we can build our business plan. For this example, we’ll focus on a fictional Parks and Recreation department. Let’s say that we have four key metrics that will define our business plan in a dashboard already. They are all being tracked, evaluated, and charted. Additionally, I have my Key Initiatives. I have my projects that are more short term that can explain what the department is planning to do in the current calendar year. If I edit the report and click into the filter tab, we can see filters dictating the End Date of the Initiatives is before 12/31/18. Similar to this report, I have my projects that end in 2019 to 2022. These are the projects that are critical to a Business Plan because they allow for forecasting of where a department plans to be in the coming years. Since we want to be consistent, we are tracking the same items for the Initiatives. With that being said, I am going to jump into Admin Options > Custom Fields. What we want to do is create Objective Custom Fields for the critical questions that we want our Business Plan to answer, in the order that I mentioned earlier. To recap, we first want to answer what our department does. The first field is going to be called “What does our department do?” We’ll make it an HTML with Text field. Since this is a standard field that I know we want to use for the other fields in this Business Plan, we can duplicate it and rename it. We can also create a ‘placeholder’ pod that can be placed on a detail page to accentuate some information. If you recall, that was field centered above our charts. This will address Contributing factors and Restricting factors, as mentioned earlier.So, let’s create a pod for each of those. These are header fields, and are going to be above a couple of reports that we will pull in. Since we are pulling in reports from ClearPoint, we can create two Data Grid fields. Once we have these all set, we can save Custom Fields and get to our next step. One great way to separate a break in section is to assign each section a pod style. So, let’s create a few pod styles. This the pod we are going to use for our top section, and we know we will want different colors for our other sections. After we do this, we can save! I am going to navigate to my 2018 Business Plan Objective. You can see that on the detail page, I have my Measures field pulled out. This field shows which measures this Objective is linked to. For reference, these 4 Measures are the same as the ones that were shown in the earlier dashboard. Since these measures are linked to this objective, I can pull the charts out onto the page. I will put two on the left and two on the right to keep the page centered and clean. 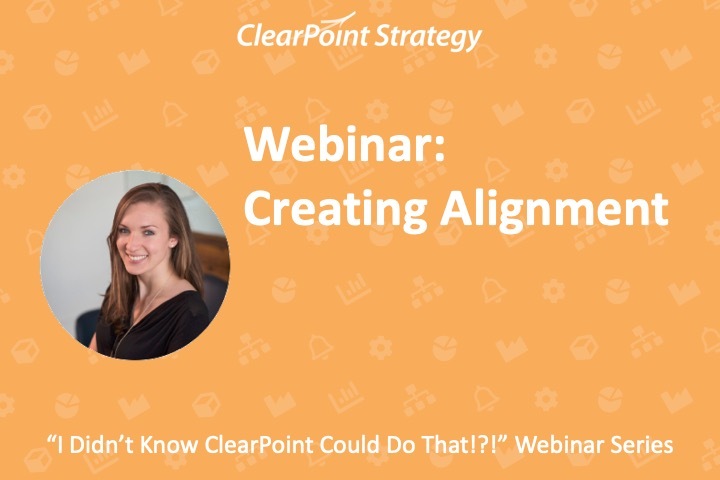 Catherine: Yeah, and that might be something you didn’t know about ClearPoint, is that if a measure is linked to an objective, you can pull the charts out onto the objective’s detail page, whether you’re creating a business plan or you just want to pull out that information more generally. In the next, qualitative portion of the report, I am going to pull out the pod for What is the story behind the curve? This is the qualitative section. Catherine: So what Neil did there was to add a second page to this detail layout, which repeats that structure with the full width portions at the top and bottom, and half-width spaces in the middle. It’s also going to break this onto a second page when you export it to PDF. Finally, on the last bottom section will be the 4 final fields we created. Now that this is all set, I can hit save. However, we have some fields that look out of place, such as the How are we doing? Field. If you recall, I mentioned that these are going to be header fields. I am going to make the font-size 18, make the font bold, and center it. What are we proposing to do in 2019-2022? As I scroll down, I can see that the plan is really starting to take shape. However, it does not look as clean as possible. As you might remember, I mentioned that a few of these pods were just going to be headers. To actually make them header pods, we are going to hide the pod borders. These business plans can then be easily exported and distributed. Catherine: Awesome! So this is a really cool way to put a bunch of different types of information on one page to summarize it all. And hopefully this has given you a sense of what you can do with pod visibility and pod styles and the different types of custom fields that ClearPoint offers, which really serve a variety of purposes. I know we covered a lot of information and I’m sure you have some burning questions. How would I recreate these layouts in another department if I wanted to have more than one? Catherine: That’s a really good question, since surely you wouldn’t be doing all this setup if you didn’t plan to reuse that business plan layout – Neil, do you want to tackle that one? Neil: Yup, so this is actually pretty straightforward. We would duplicate this, delete the standard “(copy)”, and we can change our home scorecard. Say for Community Support we want a similar layout – we don’t need to copy status or links, click duplicate, and when we click into our Community Support scorecard we can see our new objective right here. It’ll have the same layout, we can see that it’s missing some charts, but these can be added in when the measures in the community support scorecard are linked to the business plan, and we can replace the initiatives as well to come from this scorecard. Catherine: Yup, and if you wanted another shortcut, you could create a template of this report, to be able to duplicate it in another scorecard as well. We really want to make sure that once you’ve done the leg work of setting everything up, you don’t have to do a lot of work to duplicate it or maintain it. 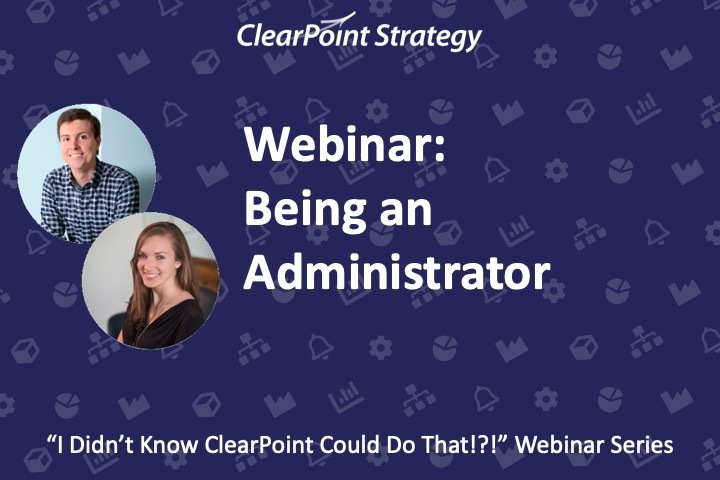 Alright, so we are reaching the end of our time here today – thank you so much for joining us on this episode of the “I Didn’t Know ClearPoint Could Do That!? !” webinar series – we hope to see you next time, and happy reporting!